Will Tumblr's userbase take to this or is it facing steep competition from existing services? Tumblr has made a name for itself for being a congregation of the next generation. This is nothing new. The more surprising fact is how the Tumblr staff are very conscious of their user base. Both Millennials and Generation Z are very attached to the relationships they develop online since they are more likely to find the people who share similar interests there. With Tumblr’s new app, that is exactly what they want to happen. Cabana is an online chatroom app for iOS (Android version arriving in May) very similar to Skype and Discord. You add friends by either username or adding phone numbers from your address book on your phone. Afterward, you can either create a chatroom to hang out in or join an existing room. 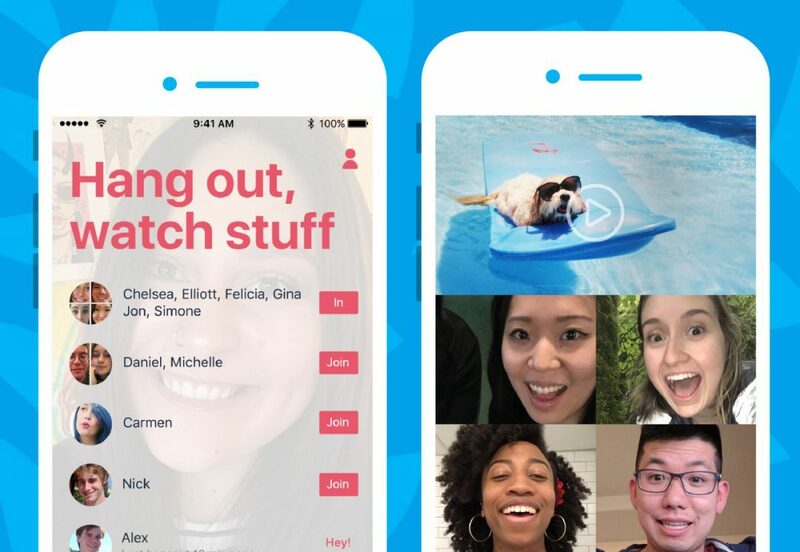 You can have up to six friends in a public or private room, and you can share Youtube videos that you can watch together with your friends, in real-time and in sync. By making your room private, you lock in the friends in that room, and you can call on that group again at a later date by tapping “Hey!”. There are also other tools that you have in a private chat room. You can flip your camera around to show something to the group, you can mute your mic, and friends can even swap out the currently playing video for another at any time. Once you exit out of a room to browse on your phone, the app puts your part of the call on pause. So it’s supposed to be a better version of Skype’s premium video calling services, except for one small difference: it’s completely free. Also, there’s no screen-sharing tool, so there’s no lag on the video and the call unless you have a slower internet connection. Youtube’s videos are available through an API integration, rather than an official partnership with Cabana. However, if the app proves popular, the developers could expand to include videos from other social media sources in the future. The idea has potential. Teens and young adults are in desperate need of feeling accepted, and finding relationships online is a lot safer for them since they are in control of who they interact with. In more extreme cases, it may be the only way for them to have some human interaction, especially if they don’t have other like-minded individuals in their area. Cabana is an attempt at a more human experience for those who seek friendships online.